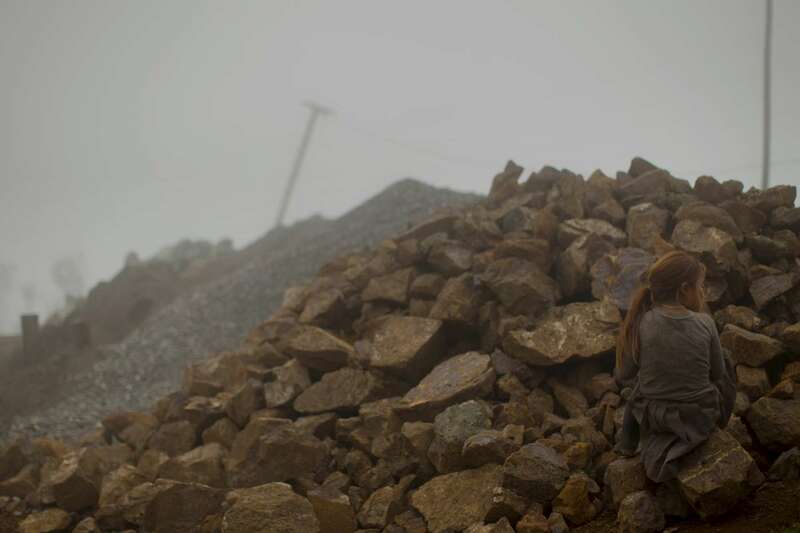 2/26/11 - Cañar Province; Ecuador - A young girl blends into a pile of rocks next to her home, high in the Andes in an isolated pocket of Ecuador. This is a scene setter near the home of Murder suspect Luis Guaman's estranged wife. Guaman is now in an Ecuadoran prison charges of forgery and using a false passport. He left behind four sons when he immigrated to the United States to work. He is the primary suspect in the bludgeoning deaths of Maria Avelina Palaguachi-Cela and her 2-year-old son, Brian. Story by Maria Sacchetti/Globe Staff. Dina Rudick/Globe Staff.